Neal Zoren has been seeing theater in Philadelphia and surrounding towns since 1967. Since his very first professional show (Funny Girl, on September 4, 1967), he kept a diary and ranked the productions, performers, and directors I saw. 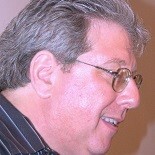 Through years as a professional critic, for Philadelphia Weekly and the Delco Times, among other venues, Zoren kept his lists a secret, with the exception of the odd publication of a “best of” list. Since 2013, he has been making them public on his review site NealsPaper (syndicated on Phindie). CAROL LAWRENCE, Funny Girl, Valley Forge Music Fair, Devon, Pa.
SYLVIA SYMS, Funny Girl, Valley Forge Music Fair, Devon, Pa.
CARA DUFF-McCORMICK, The Sea Gull, McCarter Theatre, Princeton, N.J.
IAN RICHARDSON, Shall I Compare Thee, Richardson Auditorium, Princeton, N.J.
HERMIONE GINGOLD, A Little Night Music, Valley Forge Music Fair, Devon, Pa.
JACOB HARRAN, The Importance of Being Earnest, People’s Light & Theatre Company, Malvern, Pa.
MY CHILDREN! MY AFRICA! By Athol Fugard, People’s Light & Theatre Company, Malvern, Pa.
PAUL MESHEJIAN, The Merchant of Venice, People’s Light & Theatre Company, Malvern, Pa.
JUSTIN GUARINI, Chicago, Media Theatre, Media, Pa.
TOVAH FELDSHUH, Gypsy, Bristol Riverside Theatre, Bristol, Pa.
HAIRSPRAY by Marc Shaiman, Scott Wittman, Thomas Meehan, and Mark O’Donnell, Media Theater, Media, Pa.
CHARLIE DelMARCELLE, I Am My Own Wife, Theatre Horizon, Norristown, Pa.
EVERYMAN by Anonymous, Villanova Theatre, Villanova, Pa.
DEIRDRE MADIGAN, Vanya and Sonia and Masha and Spike, Philadelphia Theatre Company, Phildelphia and Bucks County Playhouse, New Hope, Pa.
JAKE BLOUCH, Who’s Afraid of Virginia Woolf?, Theatre Exile and Unnecessary Farce, Act II Playhouse, Ambler, Pa.
field research into real life.